Do you know Bangalore wins over even Mumbai when it comes to attracting a highly educated crowd? A study named “How to govern India’s megacities: Towards Needed Transformation” found out that Bangalore, the Silicon Valley of India, got 47.7% share of well-educated immigrants. Almost 1,000 people shift to this IT hub every day (as per the DNA Report). The obvious factor working behind this is thousands of prospective job opportunities. This scenario eventually leads to the requirement of more residential places and it accelerates the growth of rental property management industry. Hundreds of rental management companies have emerged in Bangalore during the past few years. Some of them are authentic while some are not. Here’s come the main question: how to find out the best property management companies in Bangalore. This blog is going to discuss the answer. Well, do not rely on the taglines such as “We are the best”, “Foremost apartment maintenance service in Bangalore” and so on. Do an intensive research on your own, check each and every factor and then take a final call. We have summed up some foolproof tips that can help you identify the authentic rental management companies in Bangalore. Take a look! It’s always better to opt for those rental management companies in Bangalore, which do not deal with brokers. So, first, it is recommended to shortlist at least 10 property management services in Bangalore. How to do it? Well, Google will give you the list of the leading property rental management companies in Bangalore. Now, it’s time to go through the websites of the companies you have already enlisted. Don’t rush with this if you do not want to get cheated. Study each and every detail very minutely like a year of establishment, whether the company is registered, payment system, etc. Note down the key points so that you won’t get confused later. Select any five property management services that seem more trustworthy to you. After that, you again need to research on those rental management companies located in Bangalore. Take the below-mentioned factors into consideration. Proper documentation: Ensure whether the concerned property management company will provide you with the proper legal document or not. Payment to be deposited: Many rental management companies in Bangalore take 1 months rent as service charge. It’s better to avoid such companies. Options: Choose those companies which can provide you with various options in terms of location, pricing, and amenities. After doing that much research, you’ll eventually understand which rental management companies are the best in Bangalore. Now, you can take the final decision as per your convenience. 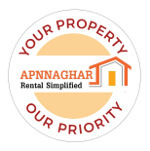 Though there are multiple authentic rental management companies in Bangalore, Apnnaghar has gained much popularity among both the owners and tenants. We make a profitable deal for both the parties. We are famous for providing no broker apartment in Bangalore so that our clients can save the extra money charged for brokerage. We can offer you what you exactly need with proper documentation. Take our assistance and make your stay comfortable! Things to know before choosing any apartments for rent in bangalore without the broker Outline Is This Possible To Rent A House In Bangalore Without Broker? 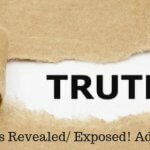 Untold Truths Revealed/ Exposed!